We all know someone wants to be different. That friend with the spiky hair, a person who sleeps all day, has tattoos in places a person shouldn’t have tattoos; someone who goes against the norms of society, swims against the current, a rebel with or without a cause. Many of us also have that sort of crazy relative who wants to be different; just doesn’t quite fit in. I have a cousin who is a practicing Buddhist, why has never been figured out, but that’s ok, to each their own. There are examples of rebels in the car world as well. There are cars that hover just outside the automotive mainstream and dance (or in this case drive) to their own beat. Many of these try to appeal to today’s youth, Scion for example, God rest their soul. Mini is another such brand. One can see any of a number of sedans whiz past on the road and have trouble differentiating between a Ford or a Chevy at a quick glance. Not so with a Mini. The unmistakable design and size of the British car company’s (now owned by BMW) offerings stand out from the crowd. They are indeed a rebel, and for 2016, they appear to be rebelling against even themselves. And it’s not a bad thing at all. In all my years of motoring, I’ve had never been behind the wheel of a Mini, until last year that is. A week with the 2015 Mini Cooper S last year was my first opportunity to live with one. Yes, I liked it, but was left with little doubt that this is a car for the youthful generation. The old stodgy could never imagine owning one; shudder at the thought of trying to climb in and out on a regular basis. Fast forward a few months; I was presented with the 2016 Mini Cooper S Clubman. 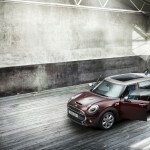 Suddenly I found myself with a Mini that I not only liked, but could see owning. Once just a stretched version of the hatchback like I had last year, the Mini Cooper Clubman has been completely redesigned for 2016. 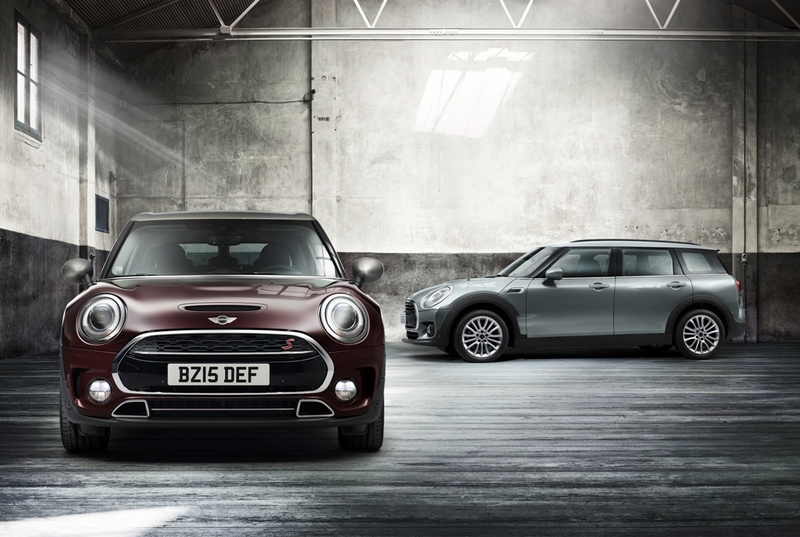 The 2016 Clubman is bigger than other Minis. The 2016 model measures 168.3 inches, 12.4 inches longer than the previous version. It’s now 4.6 inches wider, 70.9 as opposed to 66.3 inches. The new size makes it comparable to others in its class, such as the Volkswagen Golf four-door hatchback (the Clubman is a bit bigger). 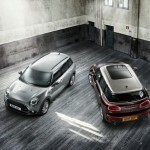 The new Clubman is now the biggest Mini, surpassing the Countryman, which was once king of the hill. The new Clubman breaks the mold of the Mini, swims against its own current; because it’s not really the small Mini people are used to. 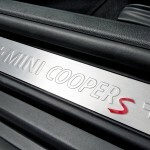 That doesn’t mean the new Clubman is more mainstream. 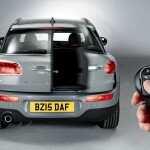 It retains the quirkiness that Mini is known for, multicolor dancing lights on the dash for example, and the nimble drive on the road that makes the experience a fun one. 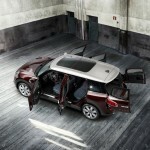 The 2016 Mini Cooper Clubman is a compact four-door hatchback, but owing to the Mini quirkiness, there is no ‘hatch’ to raise, instead access to the back is gained by double cargo-van-style rear doors. The model is offered in two trims, Cooper and Cooper S.
The Cooper comes standard with automatic headlights and wipers, 16-inch alloy wheels, keyless entry, cruise and power windows. There are also three selectable drive modes, Bluetooth, a 6.5-inch center display controlled via a knob and touchpad on the center console, along with a six-speaker sound system with HD radio, an auxiliary audio jack, a USB port and a media player interface. 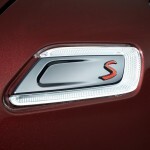 The Cooper S adds more power under the hood, 17-inch wheels, styling additions, along with sport seats in the front, and foglights. There is a pretty extensive options list. 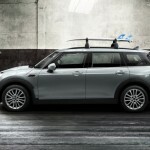 For the buyer it requires some study but in the end, you can outfit the Clubman with such things as automatic high beams, hood stripes, several 17 and 18-inch wheel designs, panoramic sunroof, adaptive cruise control, and an automatic parallel parking system. Also available is a rearview camera, eight-way power front seats, a heads-up display, satellite radio and navigation and a 12-speaker Harman Kardon sound system. Packages are also available such as the Technology package that adds an 8-inch display. Our tester for the week had the JCW Interior package that added special design embellishments from Mini’s John Cooper Works performance division. Under the hood the standard Clubman is powered by a turbocharged 1.5-liter three-cylinder engine producing 134 hp and 162 pound-feet of torque. 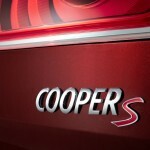 The Cooper S has a turbocharged 2.0-liter four-cylinder engine delivering 189 hp and 207 lb-ft of torque. Standard is a six-speed manual transmission, our tester had the bigger engine and optional eight-speed automatic with a sport shiftable mode and steering wheel mounted paddle shifters. 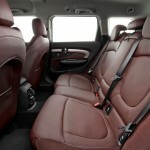 The interior of the Clubman makes it hard to remember that this is a Mini. There is definitely more room than we had in the Mini Cooper last year. That room is even more surprising when the double doors at the back swing open, either through a slight touch of the sensor on the handle, or a swipe of a foot under the rear bumper (something we found very cool). With the seats up the 17.5 cubic feet of space isn’t all that impressive but when the rear seats are folded down, that figure jumps to 47.9 cubes, something that rivals other in its class. 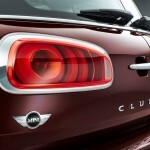 Despite the larger size, the Clubman acts like a Mini on the road. 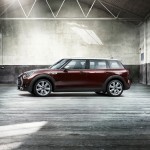 While we have always been weary of using the “go-kart” handling, the Clubman is agile and quick on the pavement. The ride is smooth and once you get used to seeing the panel van view thanks to the rear doorpost in the back, the view on the road is good. We did 0-60 in 7.6 seconds; not a sports car for sure, but for something this size it’s impressive. We were left with little doubt that the Clubman is not only a practical vehicle for everyday use, but something that a somewhat older generation can embrace. There’s plenty of room for a growing family; those who may want to stay in the Mini family, but need a bit more room than the other models. For the rest of us, those who have matured past the little Mini, and don’t want the bigger SUV or crossover, we are happy to report that there is now something else to consider. 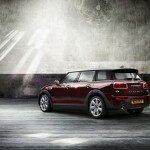 The 2016 Mini Cooper Clubman won’t blend in with the rest of the crowd, and may even have enough room to fit Buddha. It’s fun, quirky, and with the latest offering, practical. 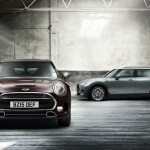 Mini may consider itself outside the mainstream, but with the new 2016 Clubman now has something that will appeal to the masses and may just make it more mainstream than ever before. Front head room: 40.2 in. Front leg room: 41.4 in. Rear head room: 38.0 in. Rear leg room: 34.3 in. 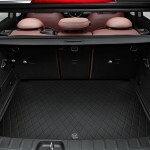 Rear shoulder room: 52.8 in. 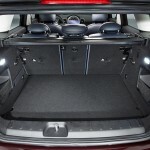 Cargo capacity, all seats in place: 17.5 cu.ft. Maximum cargo capacity: 47.9 cu.ft. Basic: 4 yr./ 50000 mi. Drivetrain: 4 yr./ 50000 mi. Free maintenance: 3 yr./ 36000 mi.